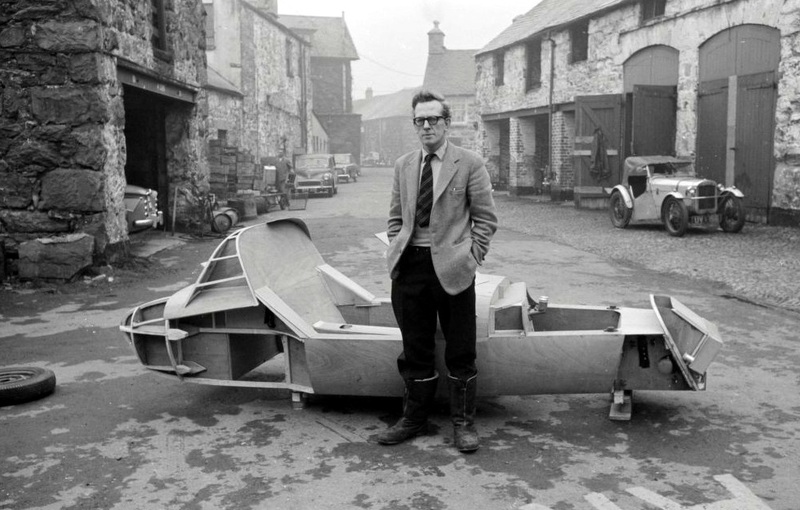 Frank Costin with the prototype chassis. 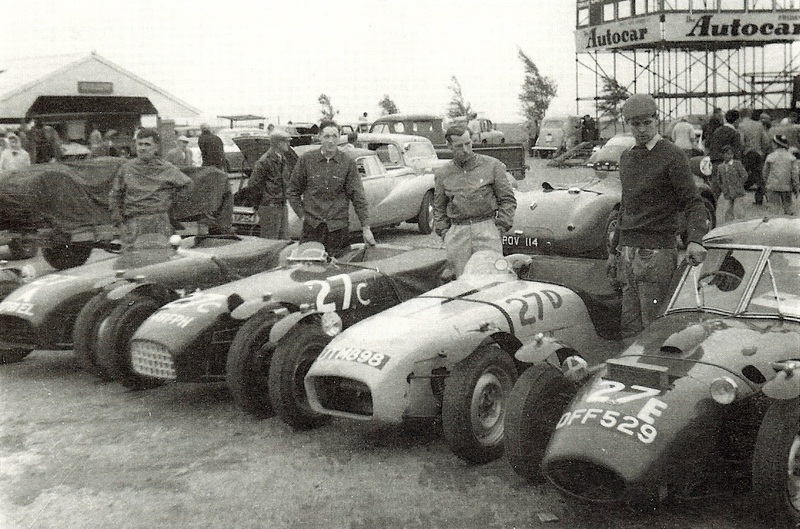 If you compare it with later chassis, developped from this basis by Peter Adams, it is much more complex. 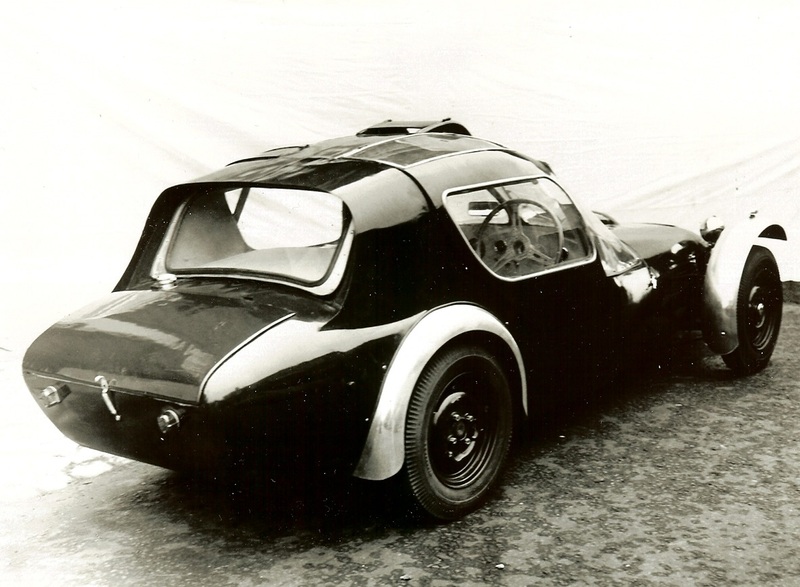 The prototype was built with cycle type front wings and Ford 100E side valve engine. Contrary to later gullwings, the prototype had transparent panels in top of doors. 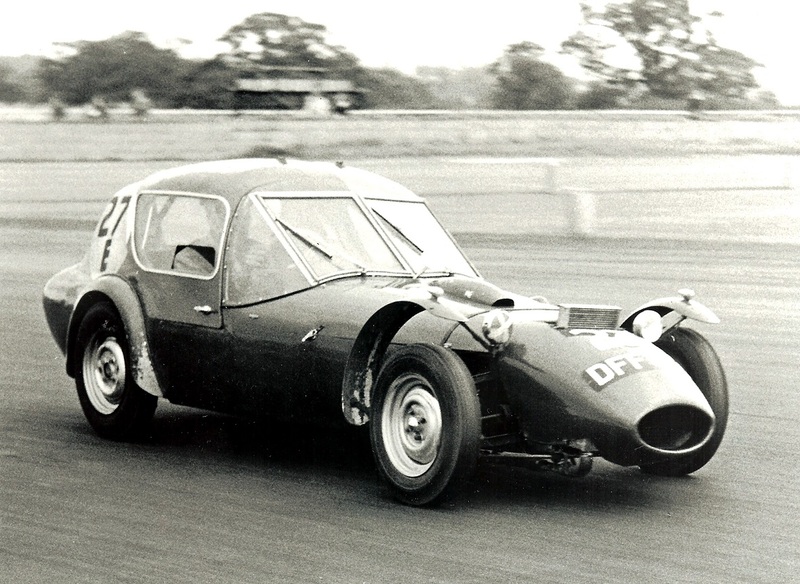 The perspex windscreen was later changed to 4-piece glass/Perspex screen and the doors modified without roof panels. 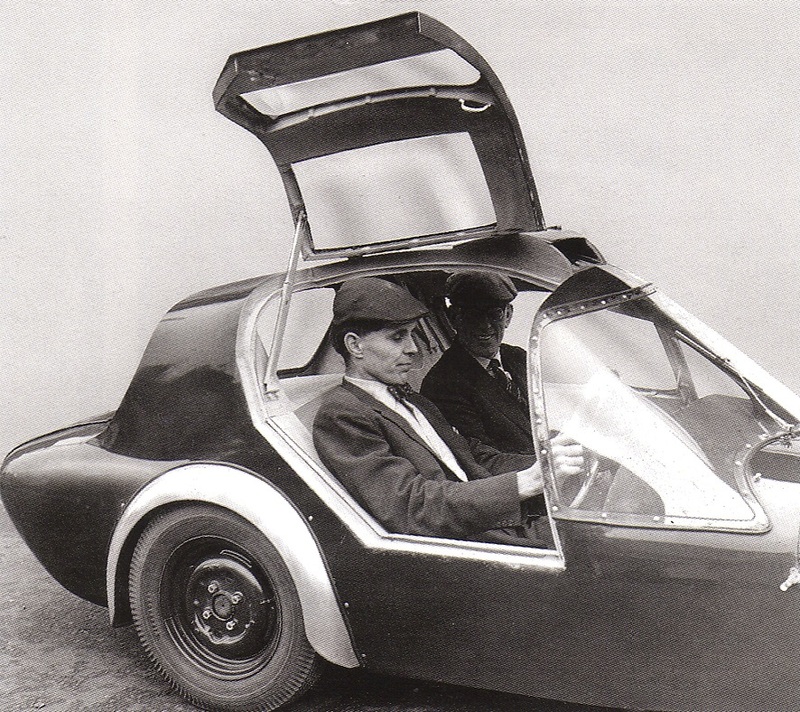 Frank Costin & Jem Marsh pose in the prototype. The modified prototype, as raced. Front & rear wings now painted, new roof and windscreen. Oil cooler fitted. 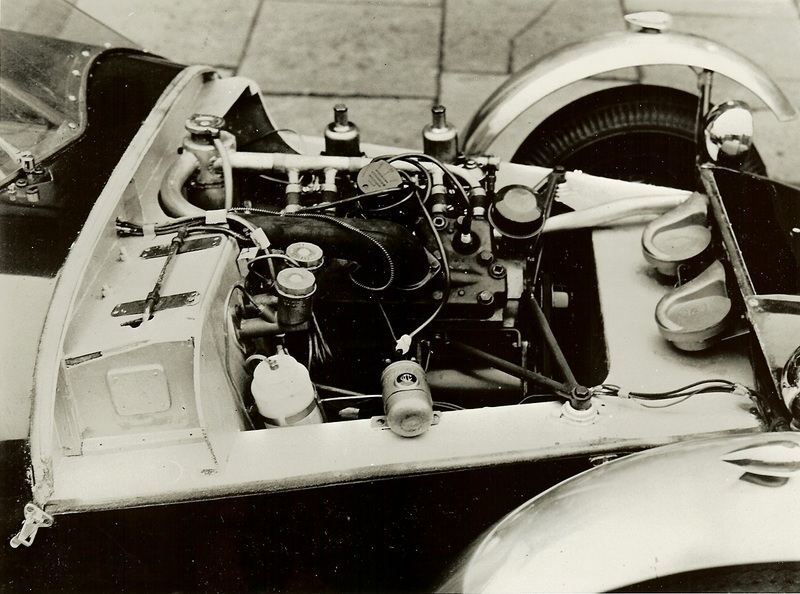 The car had its Ford engine replaced by a BMC 1000 cc engine approximately in 1965. Previously owned by Neville Holmes. The prototype lost its roof later in life. For along time it disappeared from the public eye with its second owner. It came to light in 2015 and was shown to the public at the Classic Car Show in the NEC on the stand of the Marcos Owners Club. It was sold early 2016 and remains in the UK.